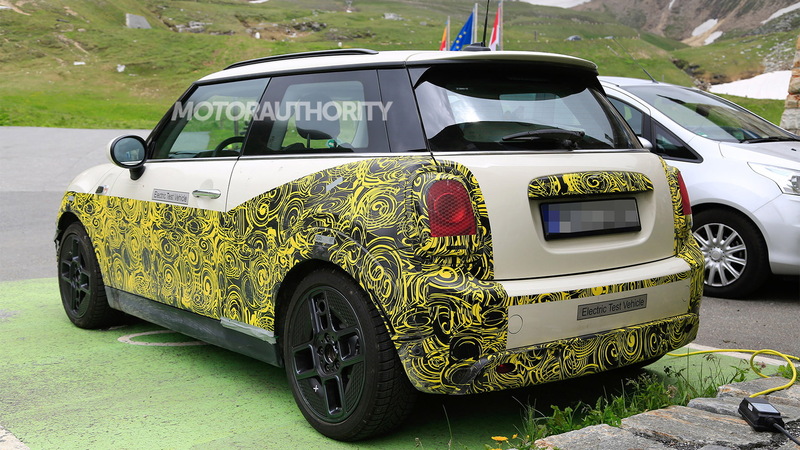 Mini is set to launch an electric car in 2019, and we've got the most revealing spy shots yet. 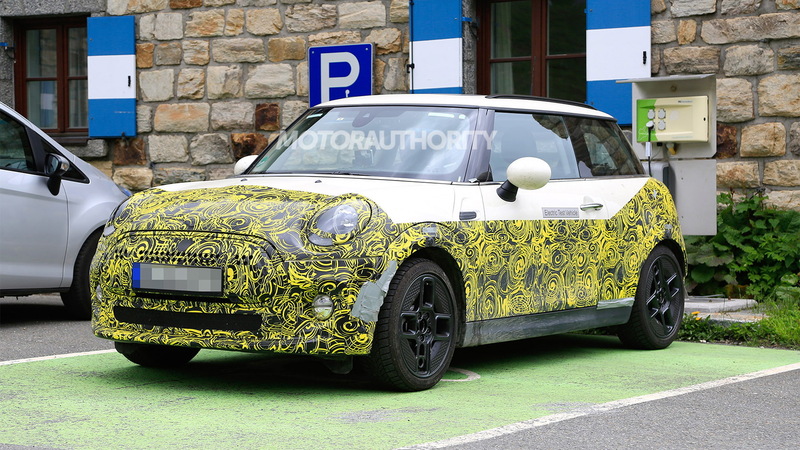 As expected, Mini is using its signature Hardtop model for its first volume EV. But there isn't much to distinguish the electric version from its gasoline-powered siblings, at least visually. The car was previewed by the Mini Electric Concept unveiled at the 2017 Frankfurt International Motor Show and is only the first of 12 electric cars the BMW Group will roll out by 2025. The production version will be badged a Cooper S E, positioning the electric Hardtop as a hot hatch as opposed to an eco-friendly model. A key notable difference between the electric Hardtop and the internal-combustion models is the lack of exhaust pipes on the EV. 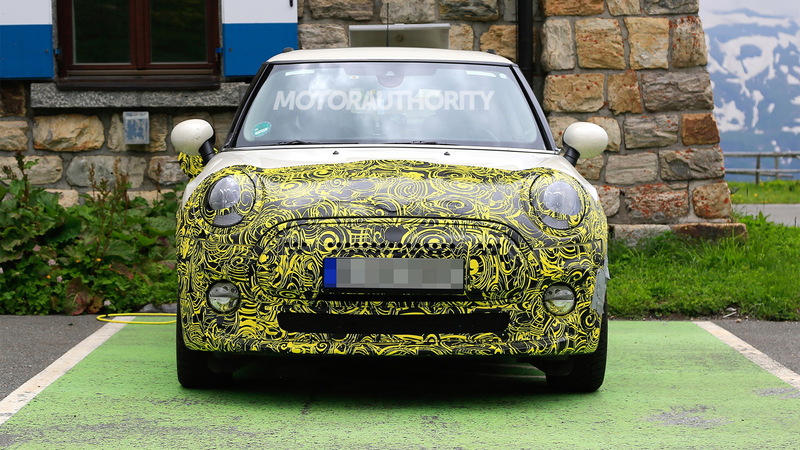 The grille also appears mostly sealed, and in some of the shots you can see an accent light running the width of the grille, just like on the Mini Electric Concept. We can also see a distinct wheel pattern for the EV. Mini remains quiet on specs, which is smart considering the pace at which the technology is changing. We expect a single electric motor at the front axle and batteries located in the floor and beneath the rear seat. Range should be 200 miles or higher based on EPA testing. The powertrain will come from the same plants in Germany responsible for the BMW i3’s hardware, though the electric Hardtop will be assembled at Mini plans in the United Kingdom and China. For the Chinese production, Mini will partner with local automaker Great Wall. Mini was a pioneer of mainstream electric cars. Some readers will recall the brand leased the Hardtop-based Mini E electric car on a trial basis late last decade. This was to gather feedback on the usage of electric cars, which the BMW Group later used for the i3. 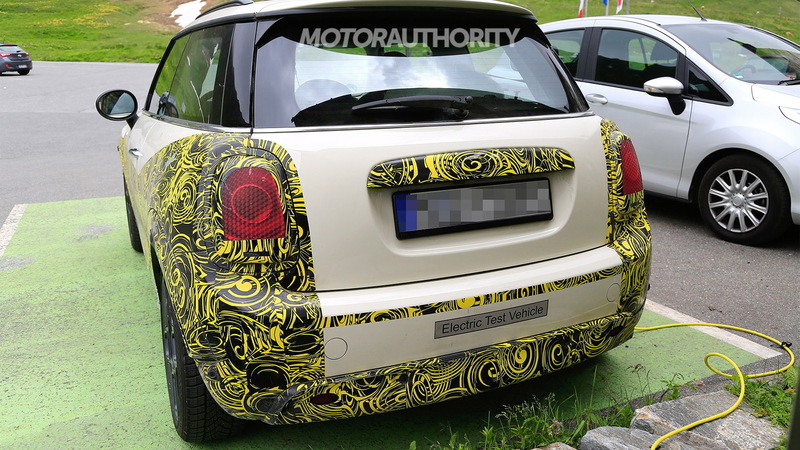 But with electric cars increasing in popularity, it’s now Mini’s turn to launch a volume EV. The good news is that electric powertrains should enhance the go-kart feeling Minis are renowned for. The batteries in the floor further lower the center of the gravity and the low-end torque of an electric motor will ensure a level of responsiveness not possible with a gasoline mill. We can't wait to take one for a spin. 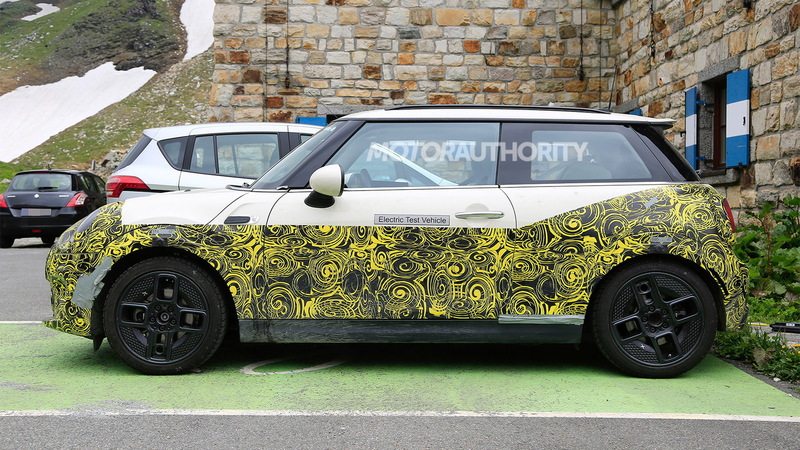 Following this year's launch of the Cooper S E Hardtop, electric cars we know that are coming from the BMW Group will include a BMW iX3 in 2020 and the iNext and i4 in 2021. After that there will be nine more EVs launched within the space of four years.